EXL140-8 combines one of D'Addario's most popular hybrid sets, EXL140, two additional low strings to create a set optimized for 8-string electric guitars. 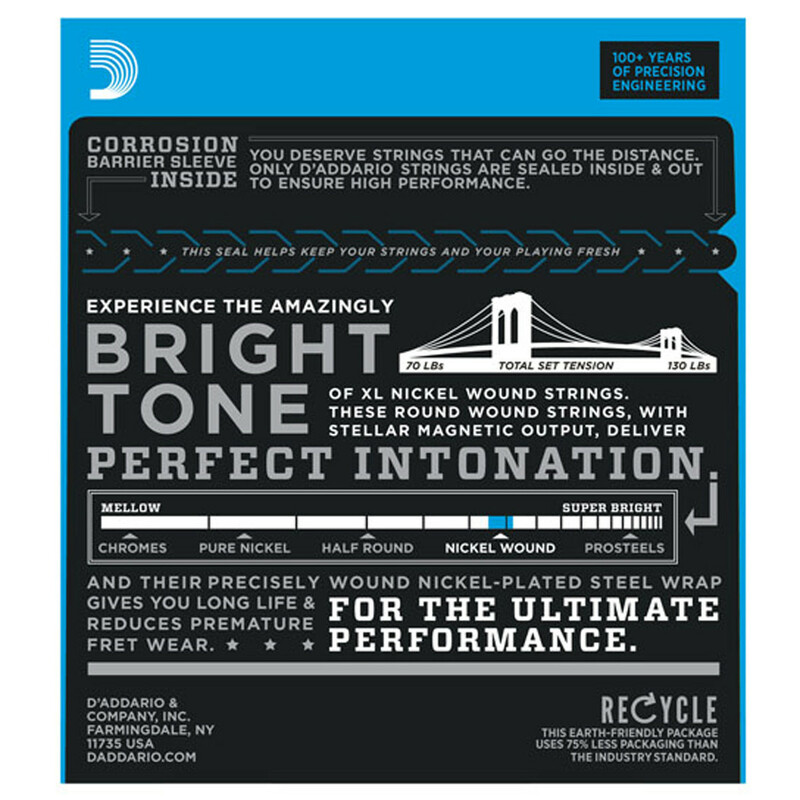 This combination delivers powerful low end for heavy chording and flexible plain steel strings for bending. 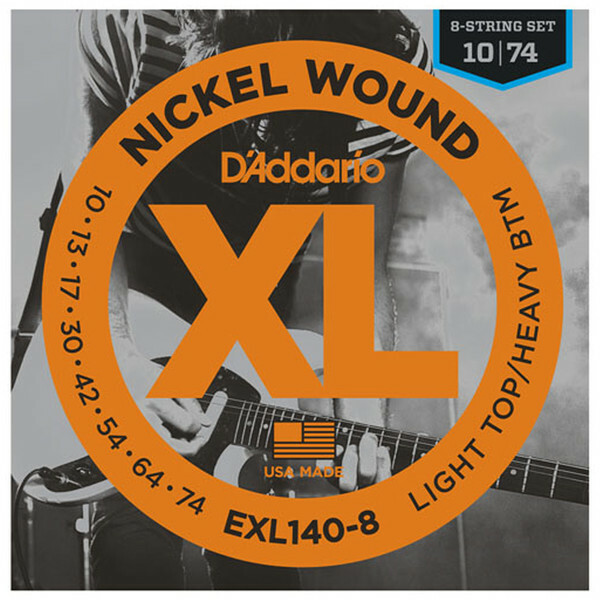 XL Nickel Wound, D'Addario's most popular electric guitar strings, are precision wound with nickelplated steel onto a carefully drawn, hexagonally shaped, high carbon steel core. The result, strings with long lasting, distinctive bright tone and excellent intonation, is ideal for the widest variety of guitars and musical styles.